The Steinberg Cubase 7.5 Music Production System brings a welcome addition of cutting edge features that will further improve and support your music production, as well as increase more efficient workflow, making the ever popular Cubase software even more formidable in the DAW arena. MixConsole, VariAudio 2.0 and Chord Track were all introduced in Cubase 7, bringing more flexibility and creativity to everyone's workflow. The new features in Cubase 7.5 will compliment and further enhance all these features with new track handling and recording functions, new instruments and VSTi handling options and professional grade effect processors. You will be able to create substitute TrackVersions, have intuitive visual displays of tracks with the new Track Visibility Management System, and create new and exciting sonorous results with Groove Agent SE 4, HALion Sonic SE 2, LoopMash FX and the REVelation reverb, to name a few. The MixConsole not only offers intuitive controls and a sleek graphical interface, but also incorporates integrated EQ and dynamics channel strip modules which bring professional sonic quality to your productions. The new TrackVersions feature provides an option for you to create, rename and manage different versions of the same track or tracks, while retaining all the settings of the original track or tracks being used. Instrument (t)rack 2.0 provides multi-outputs and multi-inputs on a per track basis, with the instrument rack and instrument track being nicely amalgamated. HALion Sonic SE 2 delivers a whopping 450 plus new workstation sounds, and the drum sampler Groove Agent SE 4 has 50 plus new kits. New effects include LoopMash FX which provides modern style breaks, tape-stops and stutters, the new REVelation reverb is an algorithmic reverb that simulates famous hardware effects units accurately, and Magneto 2 adds warmth to your tracks reminiscent of the sound analogue hardware units provide. Chord track allows for transforming and harmonising functions in terms of chords being used within your project, and Chord Assistant will help with anything from simple Pop chords to more complicated Jazz chords. VariAudio 2.0 will make sure that the correct pitch is always met with your harmonies and provides for simple auto-tuning which is used on a lot of productions these days. 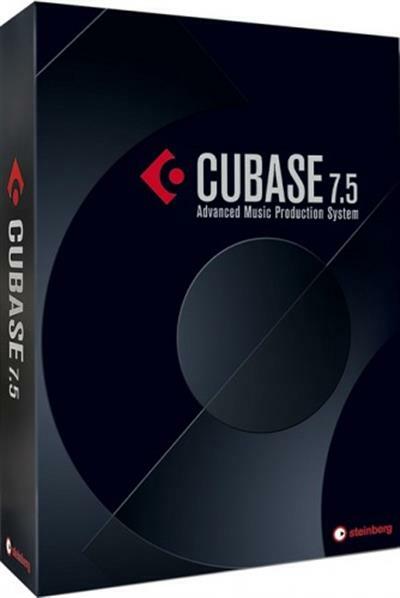 Cubase 7.5 contains an incredible amount of high quality MIDI loops taken from Sequel 3, as well as 60 exclusive MIDI construction kits for HALion Sonic SE 2, Groove Agent SE 4, Retrologue and Padshop. New track and channel visibility management allows for less clutter and better focus on the things you need to see in your arranger window, as well as the MixConsole. The new VST Connect SE 2 allows for collaboration with other producers remotely by providing talkback and chat options, as well as video, audio and MIDI live streaming in real time, truly the way of future collaboration. Steinberg Cubase v7.5.0 (x64) Fast Download via Rapidshare Hotfile Fileserve Filesonic Megaupload, Steinberg Cubase v7.5.0 (x64) Torrents and Emule Download or anything related.